STEAMBOAT SPRINGS — When Army soldier Guy Utter wrote home to his family in Steamboat Springs during World War I, he told them about what he was doing, complained about his brothers not writing and wondered how his father was getting by on the family ranch without him. He also asked how many sheep his father was caring for and if his father needed his help? But like the nearly 1,000 young men from Routt County who served our country in World War I, Utter answered the call to duty and was remembered in the letter as a brave and dedicated soldier. He served for a little more than a year before being fatally shot at the Battle of Verdun in France in 1918. He was treated at a field hospital, but the injuries proved too much, and he died Oct. 25, 1918. Utter’s niece Nadine Arroyo said her father often talked about his older brother. When her father passed away, Arroyo ended up with dozens of letters — many of them that came after her uncle’s death were unopened. The letters were written during his time stationed in Junction City, Kansas, San Diego, California, and from the battlefields of France. The letters give rare insight into the man who was called into service more than 100 years ago. Utter was buried in Souilly, France near where the battle of Verdun was fought. The army chaplain wrote the family after the war ended and passed along where Utter was buried, assuring them that he had been buried with full military honor and was in a clearly marked grave that was well kept. He also relayed the huge sacrifice that Guy had made to stop German aggression and that his efforts helped bring an end to the war. Utter was part of the first military service hosted by the newly formed American Legion Post No. 44 that took place in Steamboat Springs on Memorial Day 1921. However, there is some question about when Utter’s body was returned to his home town. Arroyo was told by her family, and she feels strongly, that her uncle was brought home in the fall of 1919. But no matter the date, Utter’s loss greatly impacted the community where he lived. Veterans attended the ceremony. Businesses closed down, and crowds of people lined up to walk behind the horse-drawn carriage that carried Utter’s body. 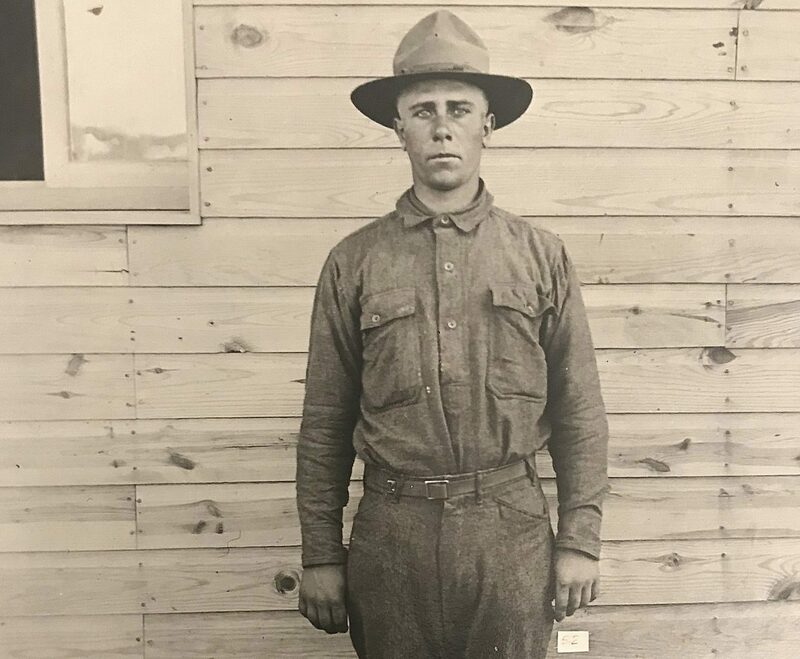 Utter’s letters revealed the mundane, day-to-day life of serving in the Army, like riding on the train from Denver to the base in Kansas where he first served, the pain in his derrière after he was vaccinated or the fact that women were a rare sight where he was stationed. He also wrote about his desire to get on with life after the Army, and he often inquired about how his father was doing on the family ranch and what his nine brothers and sisters were up to in his absence. Arroyo also has letters written about Utter after his death. His words reinforced the fact that the young man from Steamboat was not coming home. Utter was one of 22 soldiers who died in World War I, and this year’s Veterans Day marks the 100th anniversary of the war to end all wars. Others included John Harvey Bird, Yampa; Willard Leighton Brown, Yampa; Charles Farmer Baer, Steamboat Springs; Lloyd M. Dobson, Pagoda; Raymond R. Gretsinger, Yampa; Wesley E. Gifford, Steamboat Springs; Dr. Robert Gilmore, Steamboat Springs; Ben J. Hofstetter, Hayden; Leo J. Hill, Steamboat Springs; George Klumker, Topanas; George Leo Lawson, McGregor; William Henry Long, Dunkley; Clayton Lewis, Oak Creek; Ralph Maitland Mabee, Hayden; Marcy M. Meaden, Deep Creek; James E. Noyce, Steamboat Springs; William Channing Reed, Yampa; Chester Bryan Reise, Hayden; Edward August Schrupp, McCoy; Zetto Dell Stoddard, Bear River; and Raymond C. Whitmer, Clark.